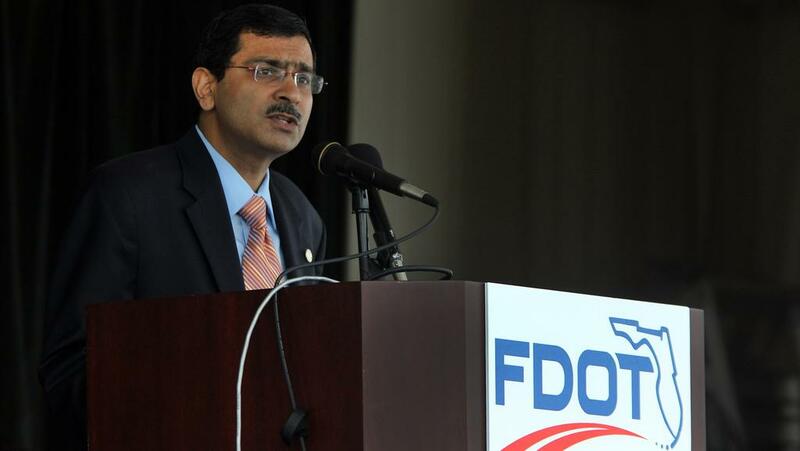 The Florida Transportation Builders’ Association has tapped former Florida Department of Transportation Secretary Ananth Prasad to take over for current President Bob Burleson at the beginning of 2019. The FTBA board of directors picked Prasad as the association’s next president in a unanimous vote Friday. Prasad will begin at FTBA as president-designate on December 1, 2017 and will work alongside Burleson for a year before assuming the title of FTBA President on January 1, 2019. “While replacing Bob Burleson in this Association is a tall order – and probably the most important decision the Board has had to make in a long time, we are very excited to have found someone not unfamiliar with FTBA’s mission and vision, who we feel can build on Bob’s legacy and lead this Association into the future,” said John Morris, who chaired the search committee for Burleson’s replacement. “Ananth’s successful and diversified experience in both the public and private sectors of our Industry here in Florida, along with his familiarity with the Legislative process in Tallahassee, and numerous solid existing relationships within our current membership makes him uniquely qualified for this position,” he said. Other members of the search committee praised the pick, with many hailing Prasad as a forward-looking pick for the association, which has represented Florida’s transportation construction industry since it was founded in 1933. “Bob has left his mark on our association as it is continuously growing and achieving its highest level. We are honored to have Ananth as our new president. We are very proud of what we have today and are looking forward to our best and brightest future for our association,” said Dan Weekley, President of Weekley Asphalt Paving and member of the search committee. Prasad has more than 26 years in the transportation industry, including 22 years working for the Florida Department of Transportation. He is currently a senior vice president with HNTB, an employee-owned infrastructure solutions firm, where he leads the firm’s national transportation practice.